As May begins, the nation’s heartland is reeling from catastrophic flooding following extreme rainfall at the end of April. The map above is of rain amounts for the 24 hours ending at 8 a.m. CDT on April 30. The highest total from the multi-day storm as estimated by radar was approximately one foot in southern Missouri, and there was an exceptionally large area of more than three inches. 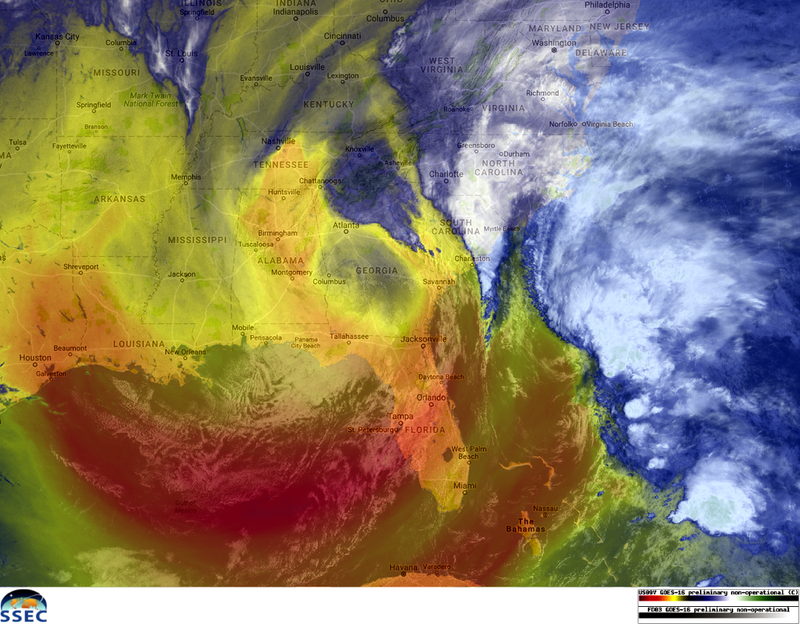 The nasty weather, which also included deadly tornadoes and a late spring blizzard, erupted last Friday night as a long zone of thunderstorms exploded, vividly captured by the new GOES-16 satellite (preliminary non-operational imagery). The thunderstorms continued to regenerate and “train” (like railroad cars over tracks) along a nearly stationary front separating winter-like air from summer-like temperatures and humidity. Eventually a strong cyclone developed, and as April ended the sun set on its swirl, the new month dawning as the storm pulled away and revealed a swath of snow cover. And this one in mid-month led to a rare April tropical storm! 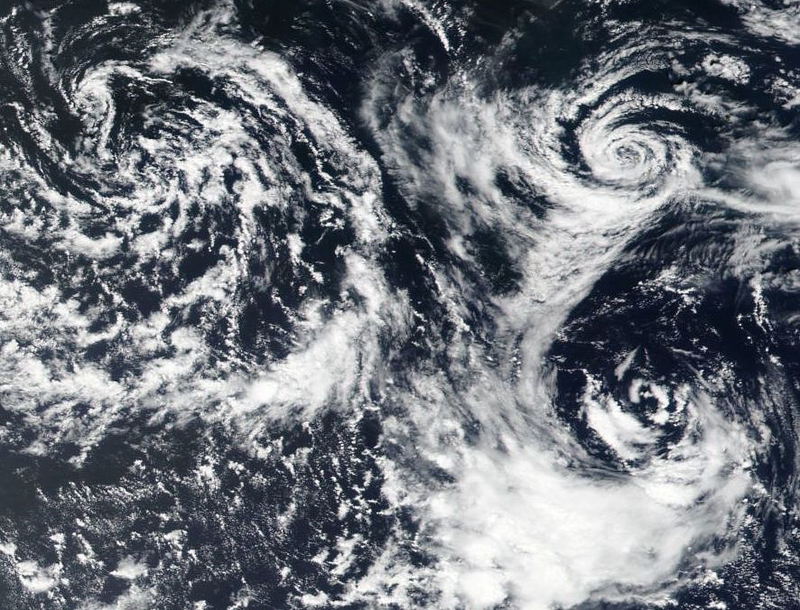 At one point in that process, three adjacent swirls could be seen in the middle of the Atlantic. This was a tropical cyclone wannabe making “landfall” on the North Carolina coast in the early morning hours of the 25th. It merged with a larger system over the southeast states, and the result was flash flooding in Raleigh, N.C. This circulation was spinning the “wrong way”: Near Shelbyville, Tennessee, an anticyclonic tornado, which was rotating clockwise rather than counterclockwise, as is usually the case in the Northern Hemisphere. The radar sequence below is 10 hours. That’s how long the cluster of thunderstorms lasted. During its evolution, it produced a wild multi-vortex wedge tornado near Dimmitt, Texas. About halfway through, look at a cell race in from New Mexico and merge with the northern part of the cluster. Last but not least, an explosion of a different sort observed by the new GOES-16 satellite: a solar flare! I think I’ve said it before.. still.. I Love GOES-16!